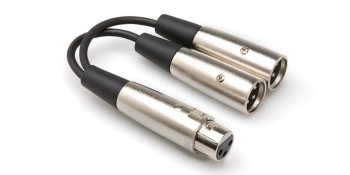 This cable is designed to connect an XLR output to two XLR inputs. It is ideal for assigning the signal from a microphone to two channels on a mixing console XLR connectors with internal strain relief for rugged reliability Oxygen-Free Copper (OFC) conductors for enhanced signal clarity. Please refer the Specification sheet before use.